Make yourself at home, just relax and enjoy your stay at the Soul Surf House in Lisbon, Portugal. Soul Surf House is fully equipped to make you feel at home. 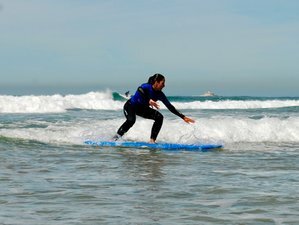 With the surf school, you will also enjoy a complete surfing experience with the best teachers who will guide you in learning everything that you need in order to enhance your surfing skills. This surf camp will be held in Soul Surf House, located just south of Lisbon in São João da Caparica, Portugal. Lisbon City Center is only a 15-minute drive or boat ride and the airport is 25 minutes away. Please book your flight to arrive at Humberto Delgado Airport (LIS).